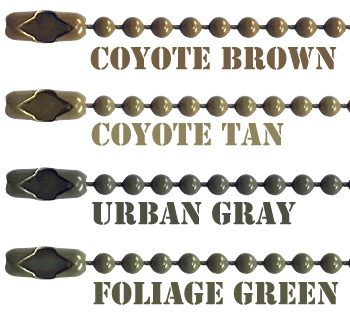 24 inch #3 ball chain dog tag necklaces available in choice of military camouflage colors: coyote brown, coyote tan, urban gray, and foliage green. Epoxy coating over a steel base. Each chain is 24 inches long and includes a matching connector.